It’s almost 2018! Whether these changes stick around or not, going to the gym and eating better are some of the most popular resolutions we make going into a new year. What will you commit to next month? Your dentist in Temple suggests trying something new for a change — something that will really make an impact. Caring for your smile with better oral hygiene practices is a great way to improve your overall wellbeing at the same time. Keep reading for some ideas on how to improve your smile health in 2018! Are you really getting the best clean possible when you brush your teeth? It may be time to upgrade your tools. Toothbrushes should be replaced every three to four months, or as soon as their bristles begin to show wear and tear. While you’re at it, you may want to consider investing in an electric toothbrush. They cost a little more, but these brushes can help you get a more thorough clean. Most also come with a timer that will ensure you are brushing for the full 2 minutes, twice a day. Most people know they should floss, but few are actually in the habit of doing it once a day as recommended. If that’s you, make 2018 the year you finally “learn” to floss. Leave the box of it somewhere you’re sure to find it, like beside your faucet or on top of the toothpaste. Leave a note on your mirror reminding you to floss. After awhile, it will be a great habit and you won’t feel complete going to bed until you’ve flossed. Dental insurance benefits cover preventive treatments as well as a large portion of necessary restorative care. Unfortunately, unused benefits don’t roll over from year to year — and many people let these benefits expire. Don’t let that happen to you again! We can help you make the most out of your investment, and it starts by scheduling two FREE checkups and cleanings annually. Once we have helped you achieve picture-perfect oral health with general and restorative dental services, we can’t wait to discuss how we can help you enjoy a smile that truly sparkles. 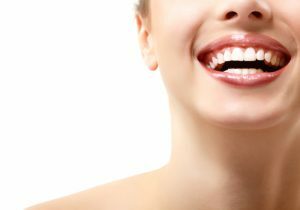 Services in cosmetic dentistry — like porcelain veneers, teeth whitening, Invisalign, and others — can help you get the beautiful teeth you really want. Because everyone deserves a smile that looks as fantastic as it feels! Dr. Richard Fossum and Dr. Brooke Elmore provide high-quality, comprehensive dentistry from the comfort of their state-of-the-art Temple dental practice. To learn more about their services or to schedule an appointment at Fossum Dental Group for the New Year, you are invited to contact the office at 254-778-3900.